TUI Poland,Edelweiss and Aeroflot, the Russian Carrier have already touched down at the Bandaranayake International airport and were given a warm welcome , and SLTPB was delighted to welcome them by arranging a cultural dance troupe, adding glamour and colour to a momentous occasion. TUI Poland, an airline which belongs to the TUI Group, which is the world’s leading tourism group consists of strong tour operators, travel agencies and six airlines with over 150 aircrafts arrived on November 07th, including around 190 passengers on board. The ground handling was arranged by Aitken Spence Group, a leading travel & Leisure service provider in Sri Lanka. 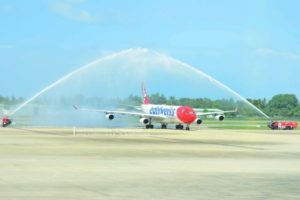 Aitken Spence Travels announced that it will be attracting 13 charter flights from Poland this season, with one arriving every 11 days till mid-March 2019. 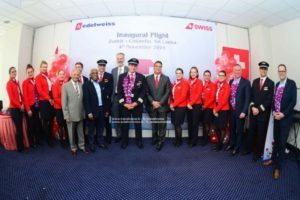 In another historic first, Edelweiss Switzerland’s leading leisure airline which is expanding its Asian network will feature direct flights between Zurich and Colombo this month on. The first flight arrived on 4th November 2018, carrying 314 passengers on Airbus A340 -300. The Second flight is due to arrive on Saturday, 10th November. The ground handling services were provided by Baur & Co. (Pvt) Ltd. The flights will operate in winter during the months of November to May and from October to November next year. 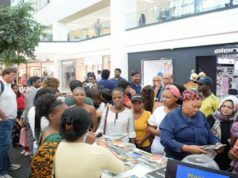 The route will be serviced by the Airbus A340-300 which has a seating capacity for 314 passengers. At the moment, 2 flights each week from Zurich to Colombo are scheduled till 5th May, and is hopefully expected to continue. Russia’s Aeroflot SU 287 landed at the Bandaranaike International Airport on the 29th of October 2018, signaling the resumption of direct flights between Colombo and Moscow after a decade long hiatus. Officials of the Sri Lanka Tourism Promotion Bureau, Airport Aviation Services and Maldivian aviation greeted and facilitated their arrival. A touch of splendor was added to the welcome by a cultural dance troupe, adding glamour and color to a momentous occasion. Aeroflot will operate five direct flights per week between Colombo and Moscow with the state-of-the –art Airbus A330 aircraft, except on Wednesdays and Thursdays. 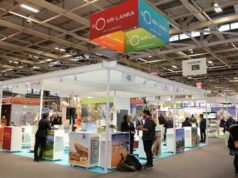 This move is expected to increase connectivity between the two nations and serve as an impetus for inbound tourism from Russia to Sri Lanka. This will increase the inbound tourism segment from Russia to Sri Lanka and will be a major boost for the travel and tourism industry. 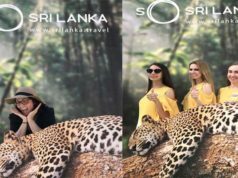 Year- to -date October, 2018 tourist arrivals to Sri Lanka was at 1.88 million which is a 10.6% increase year- on year. In spite of the current situation in Sri Lanka, SLTPB is pleased to note that there has been no cancellation of flights during this period, with noticeable forward momentum, in arrival of charter flights to Sri Lanka.